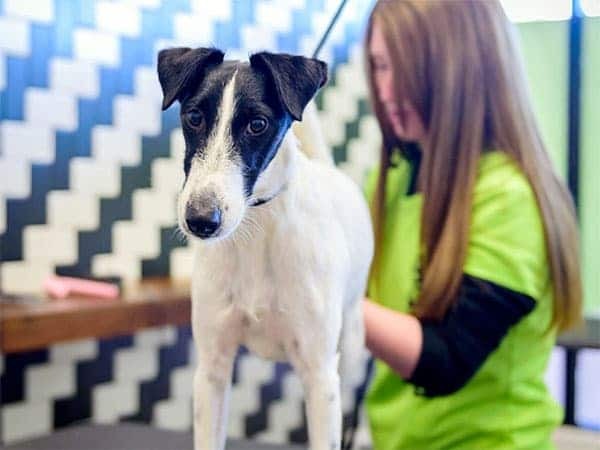 Our dog grooming specialists use the best products and tools to make sure your dog looks and feels amazing, just like you do after your own haircuts! We do this by using a Hydrosurge system. It mixes water, air and shampoo with a pulsing action to remove dander and dirt gently. Learn more about it at our Hillcrest dog grooming page. To book your next appointment, which we recommend doing in advance, call us and we’ll set it up for you.